Larb, or laab, is a popular dish in northern Thailand and Laos, using the fresh flavours of lime and lemongrass with the brisk bite of chilli. In this laab recipe from Andy Waters, turkey mince is gorgeously prepared as a savoury Southeast Asian supper that's quick to fix up for a weekday evening. 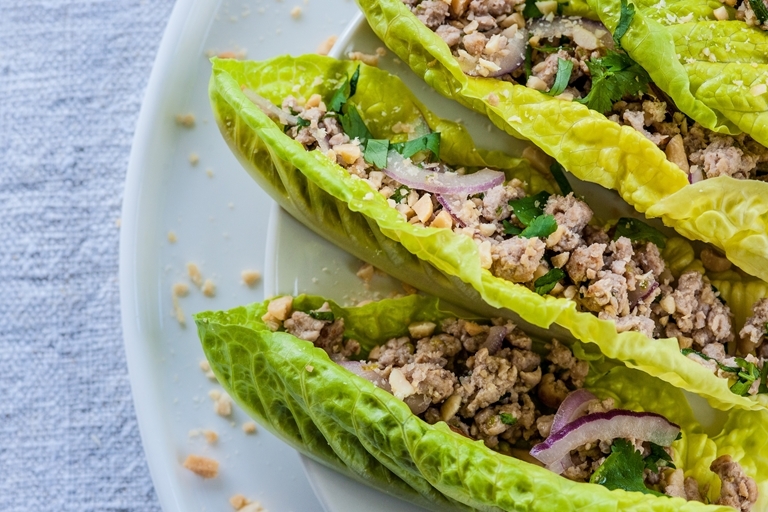 Serve the turkey larb up with sticky rice for an additional taste of the Mekong.